Product applied for: cola, carbonated drink, soda water, etc. The air conveyor is directly connected with bottle-in starwheel. The bottle is transferred by neck holding. The high speed line is of ring type pressure bearing hydraulic cylinder. The bottle-out starwheel is of screwdown shape. When bottle size is changed, there is no need to adjust the transferring chain's height. 3-in-1 monoblock is composed of rinser, filler, capper, frame, sealing window, main motor and transferring system, cap unscramblerr and electric control system etc. The overturning device of the rinser is mainly composed of water distributor, bottle clamp, up turnplate, guide rail, protection cover, spraying device, defrosting tray. Capping device is composed of cap unscramblerr, cap drop rail and capper. The assistant equipments include rinsing water return tank, bottle-in conveyor and bottle-out chain. 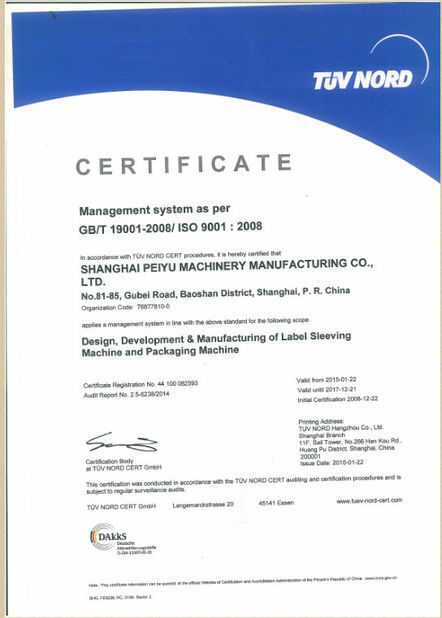 Besides that, according to the customer's need, the machine could be equipped with manual bottle loader (or bottle unscrambling), manual bottle arranging multichains, automatic cap elevator, etc. The height of the bottle transferring chain could be adjusted. 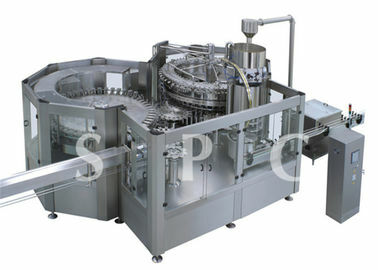 The starwheel transfers the bottle to the rinser, filler and capper, then send out by the transferring chain. For the bottle block, bottle lack, cap lack and overload, there are protection devices. 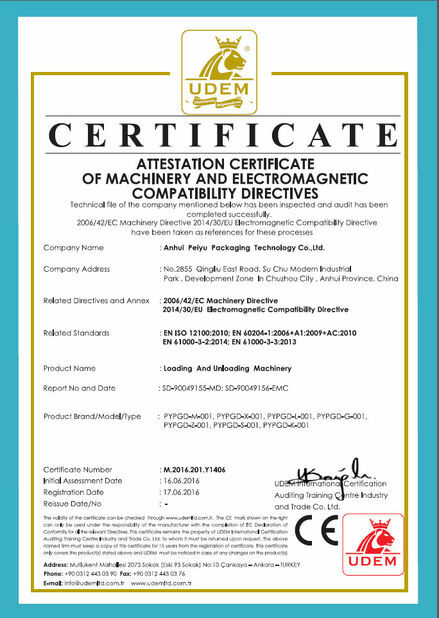 The machine meets the national food sanitary standard, highly automatic production and easy operation.